Word came through earlier in the week that the Academy of Motion Picture Arts and Sciences, who run and host the Oscars, have decided to allow the nomination of Best Picture category open to ten nominees, rather than the traditional five, at next years ceremony. As far as we understand, no other category of nomination will change, only the Best Picture one. So, instead of having a closely run five-picture contest, we will now have a broad range of films from which to try and pick a winner. Why have the Academy done this? According to official statements, it’s to make the Oscars more exciting and to allow a larger field of movies to vie for the coveted title of Best Picture. What this is, however, is a blatant attempt to prevent the same thing as happened at the last Oscars: where The Dark Knight and Pixars’s WALL-E were not nominated, and films like Revolutionary Road (which, I might add is a great film, just not as well known as TDK) got in. Much critical consternation was caused by what was considered to be an oversight on the Academy’s part, and they came in for a hammering from the fan community for it. I think the questions raised over the nominations process at that stage elicited some concern by the Academy that perhaps they were becoming out of touch with the general community. Personally, I respond to the Academy by saying simply this: The Oscars are not (or should not be) a popularity contest. We have the MTV awards for that. 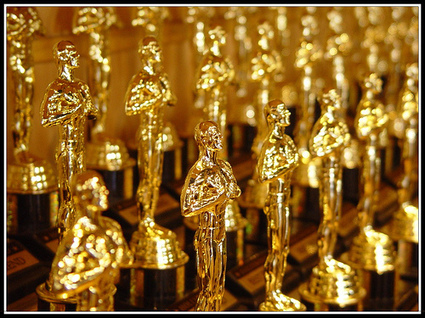 The Oscars are a peer-based awards ceremony with one of the most prestigious histories of all the multitude of similar awards; the Oscars stand alone in their importance. To be nominated for an Oscar is a great honour, and to win one is, of course, the pinnacle of any actor or filmmaker’s career. Therefore, why kowtow to the commercial reality of the general population who were upset that a film about a costumed superhero didn’t get a nod at the Best Film gong. Did the film deserve an Oscar? Probably, but it wasn’t nominated. More Oscars? Nope, just more losers!! By opening up the number of nominations for this award, you effectively diminish the honour of being in that top echelon. The Mona Lisa is valuable because it’s a one of a kind item. If you had ten copies then it wouldn’t be worth anywhere near as much. The honour of being nominated as a film, alongside only five other films, means the quality of the films in question need to be of a significant amount. That’s not to say The Dark Knight was not as good as Revolutionary Road, or even Milk, perhaps, but many felt it was certainly deserving of recognition. But half the fun of Oscar time is the controversy, not so much who is in, but rather who is left out. There have been, traditionally, only five spots for films each year, and to open up the size of the pool is to diminish the value of being in that top five. On the other hand, perhaps it will allow the Academy to finally get rid of that ridiculous Best Animated Film award they give out,in which there are usually only three nominees anyway. Why they had to invent a second category for animated films (aren’t they all films first, animated films second?) is beyond me: perhaps, again, to keep certain members of their community happy. If WALL-E, or Kung Fu Panda are good enough to be nominated in the Best Film category on their own merits, then why shouldn’t they? So perhaps we’ll see more Dreamworks and Pixar animated films up there alongside the latest crime thriller from Scorsese and action opus from James Cameron. Many will say that the Academy used to use a 10 nominees process, but that stopped after the 30’s. I guess if they want to go back to that system they can, but I think it negates the honour of being in that top echelon.